Give Up Loving Pop (Gulp) has been created by Food Active following research that revealed the lack of awareness among both adults and young people regarding the link between consumption of sugary drinks and weight gain and a range of associated health conditions. 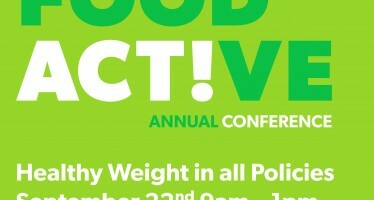 Gulp will be rolling into city centres this week to encourage the public to think again before reaching for the pop. 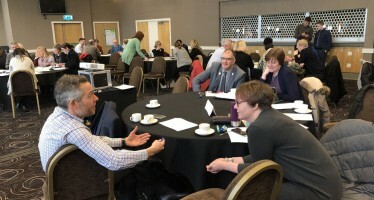 Gulp will be running a series of roadshows commencing on Monday 16th February, 11am-2pm at The Lowry Shopping Centre, Salford. The roadshows, also arriving this week at Liverpool Central Railway Station (Wednesday 18th February, 11am-2pm) and Preston St George’s Shopping Centre (Friday 20th February, 11am-2pm) will mark the start of a bold marketing campaign which appropriates the marketing techniques of sugary drinks companies in order to communicate the health harms associated with these beverages in an attractive, fun, recognisable and appealing way. 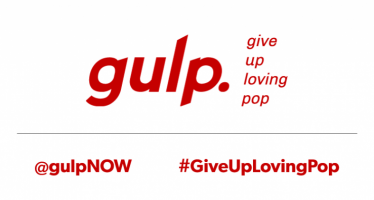 Beyond the roadshows, Gulp is rolling out a full social media campaign encompassing Twitter, Facebook and Vine to spread the message, and will be encouraging the public to pledge to Give Up Loving Pop!